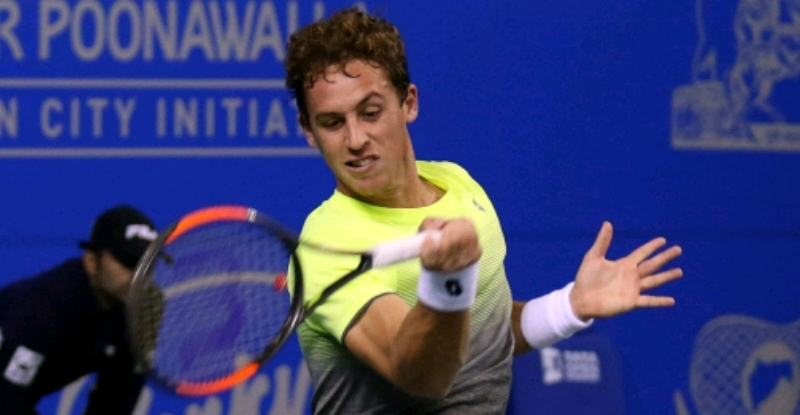 Spaniard, Roberto Carballés Baena won his first ATP Singles title at the Ecuador Open, 2018. He took down the tournament’s second-seed, a much higher ranked Albert Ramos-Viñolas in a three-set match by 6-3, 4-6, 6-4. With six wins in seven days, it was a dream week for the 76th ranked Baena. The Spaniard was also a part of Tata Open Maharashtra 2018, where he lost to the local boy Ramkumar Ramanathan by 7-6, 6-2 in the first round. Moving to the clay-court season, which happens to be his favorite surface, he qualified for the main draw with an easy win over Gonzalo Escobar of Ecuador 6-1, 6-3. Facing Federico Gaio in the first round, Baena made the best use of Gaio's seven double-faults which eventually helped him clinch the tie 7-6, 6-3. His next challenge was the tournament’s fourth-seed Paolo Lorenzi of Italy. Lorenzi gave a tough fight with his first serve, winning a total of 26 out of 30 points in the entire match. But Baena backed himself up and won the closely fought match 7-6, 7-5. In the quarter-final, he was up against 6'6" Chilean, Nicolás Jarry. Big-serving Jarry fired as many as 14 aces in the match, but couldn't break Baena’s defiance as the latter won the match 3-6, 6-2, 7-6. Baena's patience and consistency helped him to win key points in the semi-finals, as he won five out of the eight breakpoints in the entire match, assuring a win over Andrej Martin 4-6, 6-3, 6-2. Expressing his excitement, Baena thanked his family and his parents. "They have been with me since I was little and have been behind me for a long time. I did not expect this when I came to Quito, but every day I have improved and now I have the title with me. I hope to enter more ATP tournaments to continue raising my level and win more matches," said the 24-year-old Spaniard. A win over fellow Spaniard Ramos-Vinolas in the finals assured Baena his first ATP title. All the best for the rest of the clay-court season!